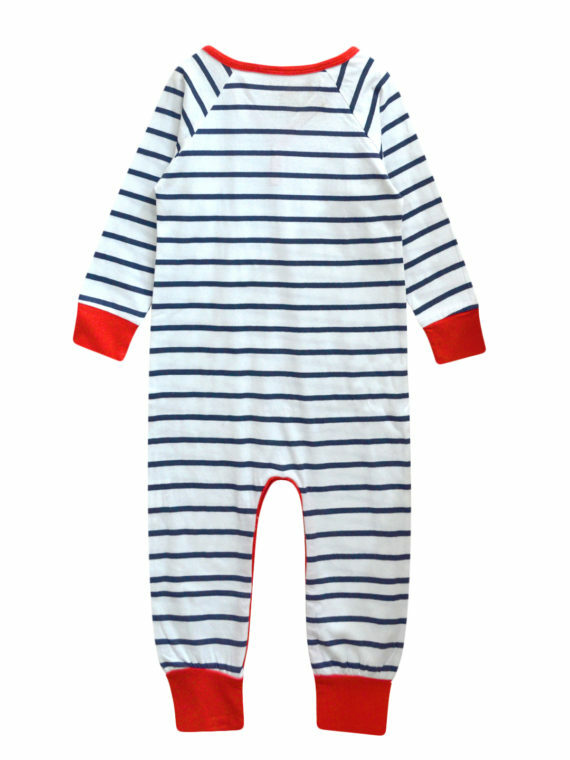 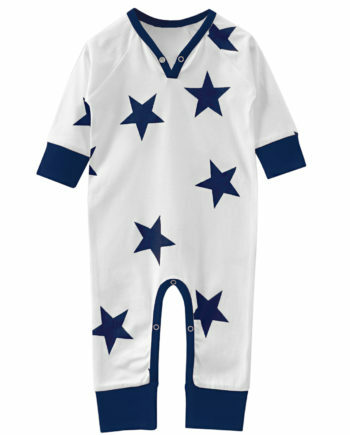 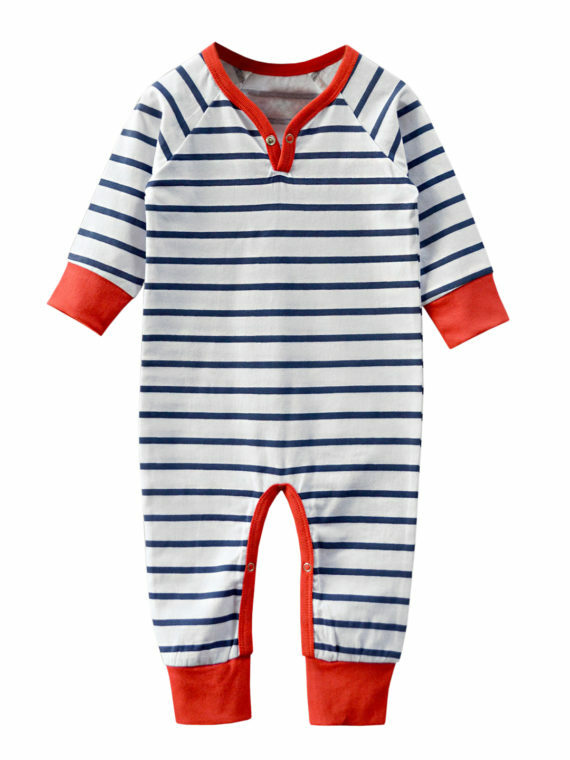 Nautical Navy Stripe Long Sleeve Playsuit - A.T.U.N. 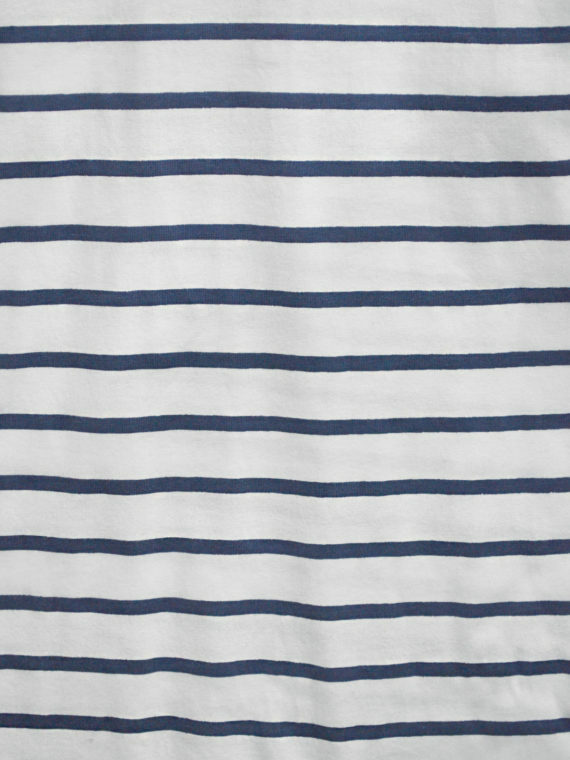 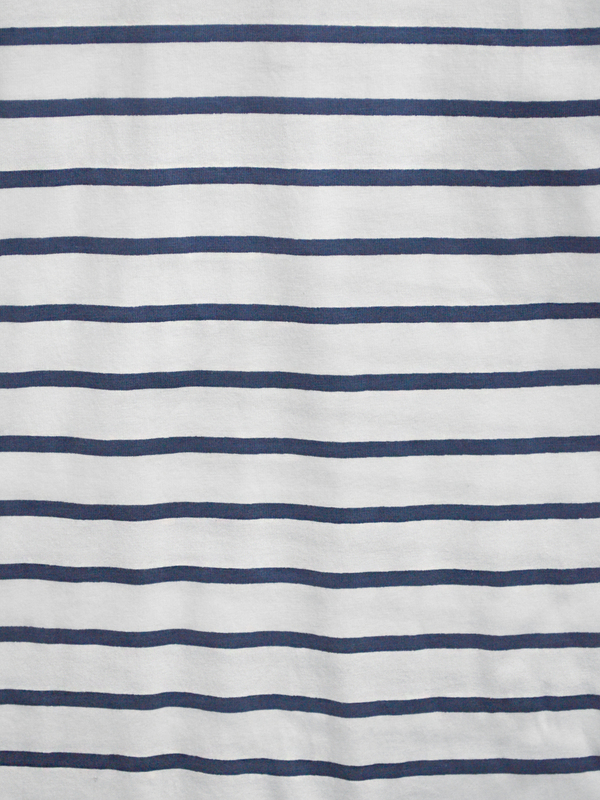 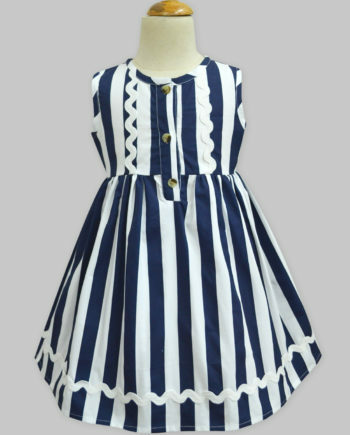 Stripes in your favorite nautical colors, make this a playsuit for style and comfort all day long. 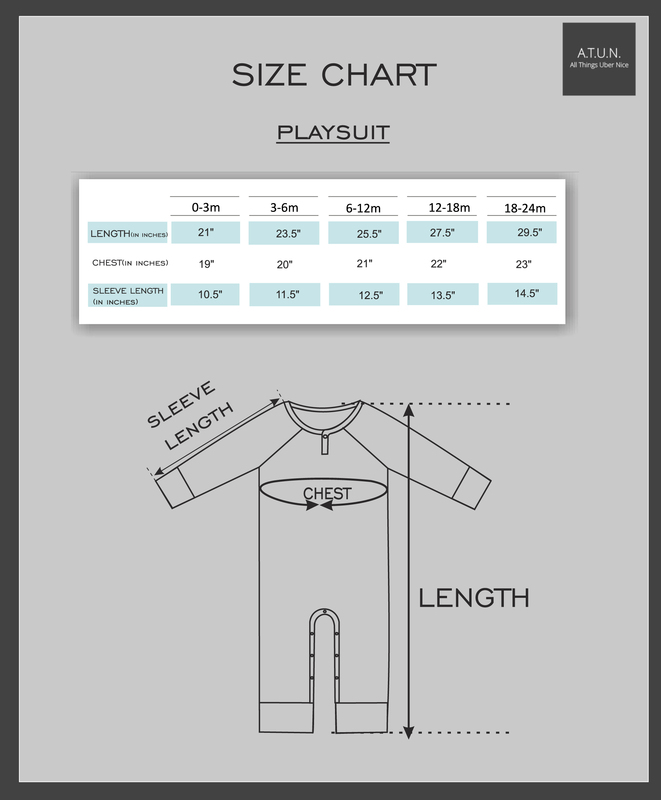 Snap buttons along the bottom ensure quick and easy changing.